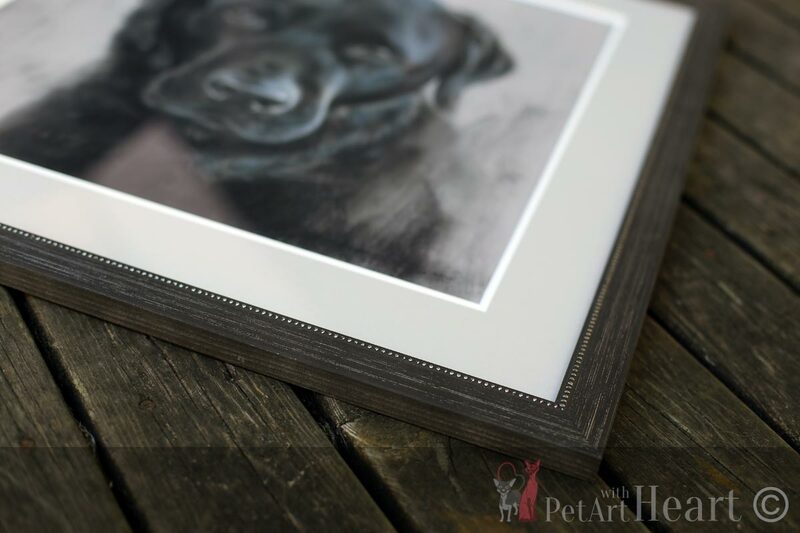 Today I framed the completed pet portrait of Labrador Klas. Klas is drawn in pastel, size 40x40cm. 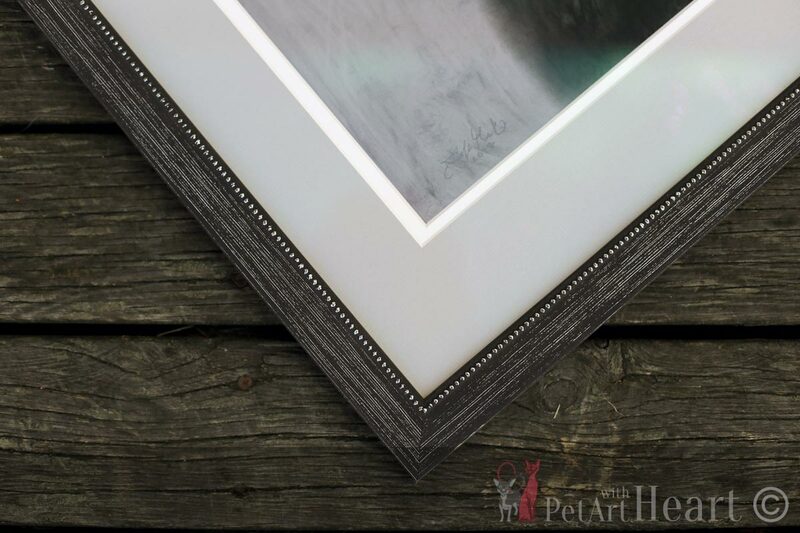 Since my local framer took some time off and went on a well deserved vacation, he was kind enough to arrange everything for me before I even started up this drawing. 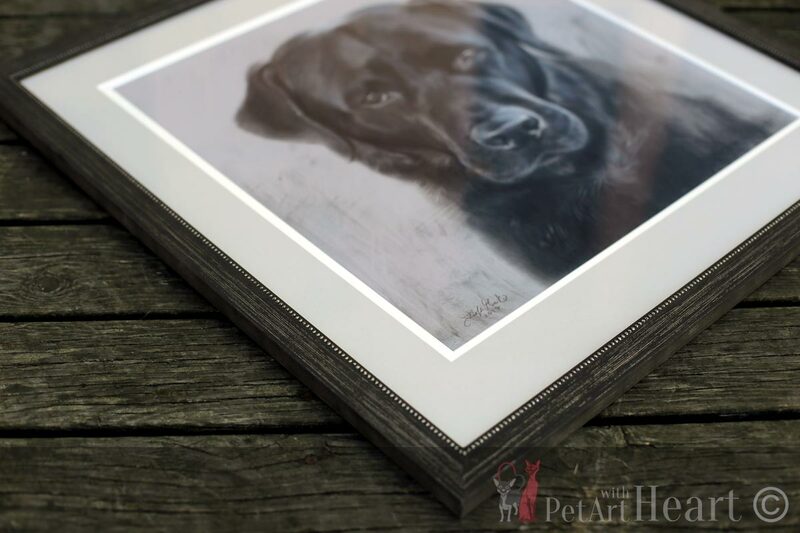 If you would like to view the final scan, visit my blog post about Klas, the labrador here. Now the portrait is ready to leave my studio! 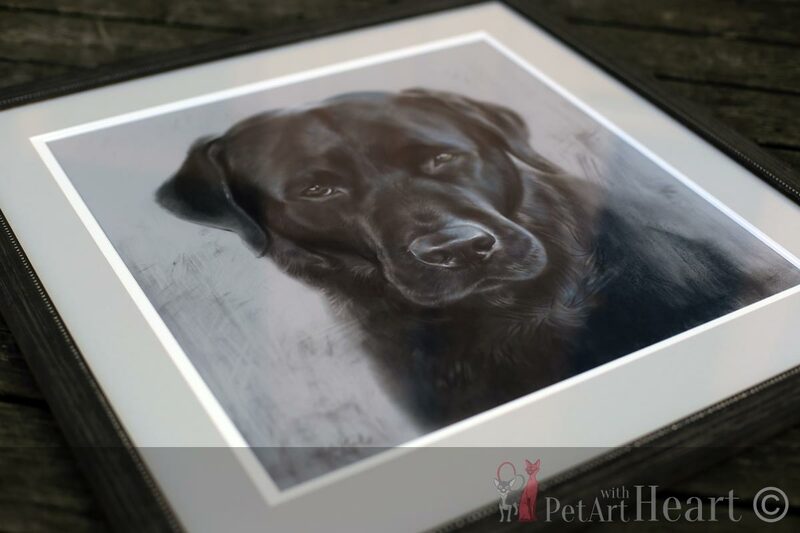 The drawing will serve as a wonderful birthday gift for someone who really loves his dog. 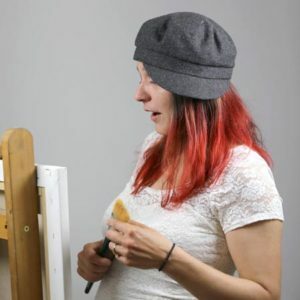 I have one more portrait left to do before I leave for my vacation, our yearly drive to Slovenia! “The mountains are calling” :).